Warning: Betty's Taking Off For a Long Rant. Please secure your belongings. I grew up in a family in which sneezing was tolerated as a pesky inconvenience but certainly not something to be rewarded with any sort of generous response. I think my parents probably automatically placed sneezing in the same category as say, a bleeding leg or a fast-growing wart. That is, they saw it as suspect, a possible attempt to garner some self-centered attention. And that, my brethren, was akin to courting the devil. Sneezing at home was tolerated, but sneezing in public was to be avoided at all cost and if you heard someone sneeze, it was to be treated the same way as if that person had passed gas—politely ignored. You would certainly never call attention to it. You just averted your eyes and acted like it never happened. 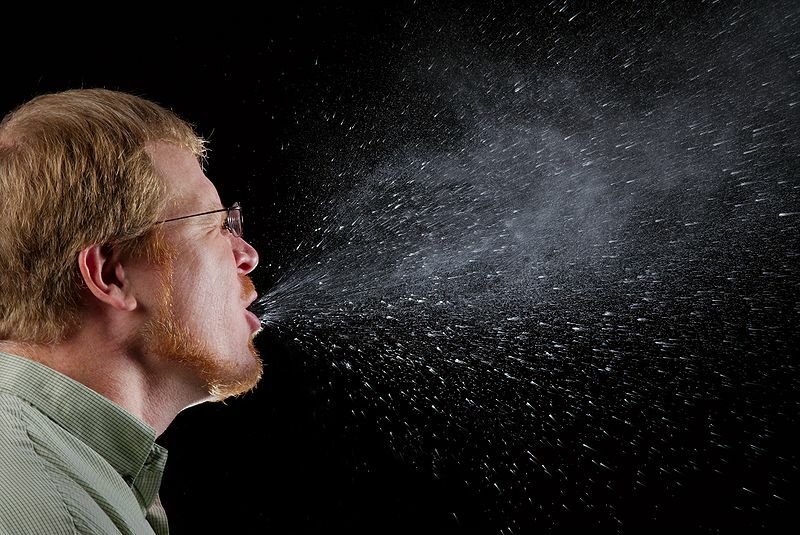 I moved to California in the '80’s and became acutely aware of the growing trend of saying “Bless You” after sneezing. Indeed, while I was busy actively and vigorously ignoring the fact that someone had just spewed massive amounts of saliva into his/her hand, people around me nearly killed themselves off showering Bless You's all over the affected person, tossing the saying about like nonpareils on party cupcakes. Thus, I became even more reluctant to sneeze in public. Now, instead of a sneeze being just a sneeze, it was a social contract. After all, when someone “blesses you” then you are obligated to say “thank you” to the blesser. It does not help that I just happen to be a double, sometimes triple sneezer. So when I have finished up the first sneeze and am waiting for the second one to occur 3-5 seconds later, some do-gooder has already inserted a “Bless You,” into the space after sneeze number one. When the third sneeze comes, the intonation of the “Bless You!” changes, indicating a clear irritation, a sign that somehow I am deliberately, consciously, maliciously pushing the limits of politeness. Though the words are the same, the intonation takes on an accusatory tone, bordering on profane. Now, after this sneezing bonanza, let us not forget: I must say thank you each and every "blessing" that I DID NOT ASK FOR IN THE FIRST PLACE. The scene is reversed. A person who normally says “Bless You” sneezes in my vicinity. Am I now obligated to say “Bless You” to this person? The answer: Yes. After my “blessing” I can’t help but wait expectedly for my “Thank You.” The person then supplies it, but possibly only because he/she senses I am waiting for it. Awkward Social Situation. Rant Continues: Remain Seated With Your Seat Belts Securely Fastened. Scene in Betty’s Class: Jumpy 17 year-olds and 18 year-olds come in, rustle about, spend five-ten minutes getting settled in class. Betty calls for some silent, individual writing. Notebooks fly from backpacks. More chatter in the ranks. Pens and pencils are fetched; there is a general hesitancy to be still and quiet and focused. Last minute phrases are uttered to one another, laughter erupts from row one. Betty sends Teacher Glare in general vicinity of laughter. Finally, finally, finally, all students are quiet and writing. Two minutes pass. Peace. Tranquility. Creativity. Then it happens: One. Student. Sneezes. Sure enough, like someone has flipped on the ON switch of the hot air popper of etiquette, individual students erupt like kernels of popcorn with individual “Bless You's” and the sneezer says her thank you's and the silence and concentration is gone, gone, gone. Now, Betty is a good person and I understand the whole concept and history of the "Bless You." However, my people, we no longer face the bubonic plague. Most of us no longer believe that the soul will escape during a sneeze or that our hearts will stop beating. Is it not time to rise above these superstitions and see sneezing for what it is—a convulsive expulsion of air, often releasing 40,000 droplets of saliva? Is this not something that we can all just see as a natural body function and not as a basis for a complicated/emotionally-charged social contract? The Worst of the Rant is Over. Betty is Coming in for a Landing. Please Return Your Seats to Their Upright and Locked Positions. HOB does not sneeze very often but when he does, everyone knows it. If he had to sneeze while driving, he quickly rolled down his window, stuck his head out and let it go. He liked the fact that the saliva went straight out the window and not on his hands. I told him this habit would cause trouble one day and sure enough it did. When he opened his eyes, he found himself face-to-face with a driver who was also halfway through the speed bump going in the opposite direction and yes, her window was all the way down. I’ll never forget the look of disgust and dismay on her face. I am sure she thought this Bozo had planned--rolling down his window at the precise moment her face would be directly in front of his. She sat, frozen in shock, absolutely appalled, as I said to HOB, “Just go! Floor it! GO!! !” He did, gunning the engine and leaving her there still staring out her open window, with a look that can only be described as absolutely horrified and, well, a little moist too. We sped out of there and never looked back. Say, I wonder if she uttered "Bless You" to HOB? My guess is she said something like it. Brilliant. I love it. The best way to start the morning is with laugh. My darling dear is also a "serial sneezer," the final sneeze is always deafening. I've learned to wait for it, as she gets upset if left unblessed. I've assured her Satan is not, to the best of my knowledge, going to slip in. not that way, anyhow. But who listens? "Bless you"and no I'm not qualified either!!! I just had myself a great Wednesday morning laugh - thank you Betty! When I sneeze, it's also an event, and my family gives me lots of grief about it. I've never rolled down my window to do it at a passing driver, though - that's classic! Years ago, when humans were not as enlightened as they are today, there was a belief that your heart skipped a beat when you sneeze. This started the tradition of saying 'GOD bless you'...the person is not giving the blessing, but asking God to bless the sneezer. what an image you have left me with, too, too funny! Hubby was raised to politely ignore any sneezes, but I wasn't - it irks me he doesn't bless me when I let fly! I heard somewhere of a tradition in China - not sure if it's true - but when choosing a name, a long list of potential ones are read out to the new baby (it may take several months of tries), and only when the baby sneezes is the name chosen. A sweet, if impractical method! OH, that last story was awesome! I have the loudest.sneeze.ever. I don't sneeze, I erupt. It's ridiculous. My cat runs away. My boyfriend jumps. I once sneezed during a prayer at a church I was visiting and EVERYONE including the person LEADING the PRAYER blessed me. In unison. I am very sensitive about my sneezing, mostly b/c hubs teases me about the amount of times I sneeze and how loudly I sneeze. Vry sensitive about this topic, thank you, Miss Betty. See..I just now sneezed...three times in a row. And quite loudly, too. Seriously, it makes me uncomfortable. Always has. In fact, if I remember my history, the reason people are 'blessed' is because of the assumption that someone was sneezing out a demon or some kind of spirit. The person was blessed so it wouldn't re-enter. In the case of a serial sneezer, that would send some blessers to an alter of prayer!! Great post. I may have to pick up on this topic myself someday. Enjoyed the read, both my younger son and I if we sneeze once we sneeze a dozen times, we get some funny looks should we sneeze outdoors. Wow...I was going to say, m'dear, you're over-thinking this. But it sure seems you're not the only one. I always thought of "bless you" as a question of etiquette rather than religion. Perhaps you could think of it as a polite way to say "I saw that embarrassing sneeze you just let out, but am giving you a socially-acceptable way to acknowledge it and move on." And whatever you do, don't move to the South, where "Bless you" is a conversational tool! "Everywhere I went today, they had just closed the building. I couldn't get anything done!" Oh BB - you're gonna throw the book at me!! I am a serial Bless you and Thank you sayer!! Oh dear!! When I say it, I make friends of total strangers and I simply enjoy how people look askance and startled by such politeness from lil ol me!!!! What I get most upset about is when people sneeze WITHOUT COVERING THEIR MOUTHS!! LOL!!! They still get a Bless you from me though - with an added EW!!!!!!!!! Wow, that was a long rant! :-) But very enjoyable.. as always!!! I would love designated Sneeze Blessers. I think that actually may be my life's calling. Hahahahaha!!!! That story of HOB made me laugh SO hard!! Thank you for that. You reminded me of the Seinfeld episode where Jerry decided to tell people "you are sooo good looking!" when they sneezed instead of "bless you." I personally like the whole "bless you" ritual :-) I don't get upset if someone doesn't say thank you to me or doesn't say bless me when I sneeze. In England people do not comment when you sneeze so after moving here I found it so very odd when complete strangers would say bless you if I sneezed in public, it somehow draws so much unwanted attention. When I see someone close to be ready to sneeze, I cringe. I'm not a germophobe, but Lord only knows what's spewing out of their mouths. Where has that mouth been. I don't want to know. Thanks for the humor just the same. good stuff. And thanks for stopping by Talli's blog today and saying hi. I love the way you overthink the quotidian, Betty. I especially like the idea of a permanent corps of sneeze-blessers -- I was wondering how we would get out of this unemployment morass the country is in, but you have hit upon a great public works project. Now when I sneeze, it's usually thirty or forty at a time, all very muffled and with a minimum of excreta, like a cat. Onlookers are generally at a loss, as they aren't really sure if I am coughing, sneezing, or having a seizure of some kind. Therefore the blessing, if any, is given tentatively, and instead of saying thank you, I'm mostly obliged to explain to them what exactly it was they just witnessed. Thank you for sharing your wit and humor in regards to sneezing! My husband's sneeze is also an event that scares the Bee-jeebies out of me and blares in my ears...instead of saying 'bless you' I resort to 'Damn YOU! That was quite the rant...and I thoroughly enjoyed it!!! Those who spew without covering their mouths, get a thank you for sharing your germs.I noticed a old neighbor coming into the doc the other day, he sneezes into a kleenex and then sticks that hand out to shake after removing the unwanted tissue.I found the restroom quickly.The noise some people make is interesting, sometimes handed down through generations. The whole post made me laugh.... except that DISGUSTING picture at the top o' the post. And of course I work in a germ factory, so people sneeze all day long. If I feel a need to acknowledge the sneeze, I say, "Goodness!" or "Wow!" One of 'my' kids always says, "I always fart when I sneeze." every time someone sneezes in his presence. You are just too funny. I never really gave much thought to the "bless you" thing. It was just considered the polite thing to do. Now I'm going to picture HOB and that poor sneeze-receptor whenever I hear the next one. I am laughing so hard right now, I couldn't sneeze if I tried!!! This is a brilliant post, Betty! Funniest post I've read all day! funniest post I've read in a while! I am behind you on the annointed sneeze blessers. Now that's a funny story! I'm a sneezer, and yes, after the second sneeze, my wife's "Bless you" carries a hint of annoyance. Being raised a good Catholic girl, we were always taught to say "God Bless You" when someone sneezed. I've shortened it to "Bless you" since I've grown up. And yes, when some one sneezes multiple time, I do say Bless you, bless you, bless you! Sometimes my husband doesn't thank me for blessing him, then I get in a snit and refuse to bless him after he sneezes again! What a fun post, Betty! You had me laughing! I'd never thought about sneezing before, other than, people sneezed. Now I'm gonna have a little smile. Unless your hub rolls down the window...lol! Don't think I'd say 'bless you' on this one. And I'm from the South where 'bless you' is non-stop. I am not a fan of the 'bless you' as well. Just let me sneeze, and let that be it. I enjoy sneezing sometimes, but not the attention afterwards. I remember many times in school when all was silent until someone sneezed, then you couldn't get the class to stop talking. We also had two 'scream sneezers' in my class. You know the ones.. where they half scream when they sneeze, scaring the bejeezus out of everyone. my question has always been, if two people sneeze and someone says bless you to one person but not the other does that mean they like that person better than the other? A Classic Betty Blog!! One that will be remembered and re-visted for years to come! I tend to be a Blesser. Unless it's my Hubby. His sneezes irritate the living snot (pardon the pun) out of me. So no "Bless You's" for him unless I'm feeling particularly generous that day. Sneezing will never be the same for me, ha ha! I want to know whether something catastrophic will happen to a non-blessed sneezer if they aren't blessed. What are the odds? Awesome as usual - thank you! It is so interesting to me that you have such an issue with the age old "bless you" after sneezing. You are like a sweet, sweet onion, with many layers. Bawhahaha... oh girl... you always make me laugh! Love it! I too am a serial blesser...so sorry! It is in my genes!!! I can't help myself. When I hear a sneeze I don't just say bless you...I say God bless you!!! I do believe that some people over exaggerate their sneezing and I dislike that very much. this is soooo funny. loved it. What does one say after a post like this? Bless you! :) LOL! How funny. I've never thought of sneezing this way. You're right about sneeze number 2 and 3. The "blesser" does begin to get a bit annoyed as well as the "sneezer." The story about your mister cracks me up. That is SO something mine would do. What is it with men? Are they really that creative??? Abnormal??? LOL! Why was her head out the window? That's just not safe. Hopefully she learned her lesson! I prefer to try doing the pressure point thing to at least delay sneezes. Sure, I look like an idiot for pressing my finger right *there* like that, but whatever. I, too, am a triple sneezer, but I don't let the Blessers bless me on that first one, because I yell, "MORE ARE COMING" in between sneezes. Helps all sides of the sneeze. Your husband's story is gross and hilarious all at the same time. The timing of the universe is perfect, is it not? You had me giggling with this one, especially when you gave reports that you were almost done and coming in for the landing...love, love your humor, you goof! I don't think we can change the way we sneeze. Mine are usually in the morning, about nine in a row. When I was a kid, my mother used to tell me my sneezes were an attention-getting device! For that matter, Betty, why can't we all just bless ourselves if its so bloody important and let everyone else around us off the hook to go find some antibacterial lotion. Are we not equally qualified to give blessings? And do we not bless other people? And should we not do unto ourselves and we would do unto others? Or something like that? Bless you for making my day yet again. I am one of those sneeze blessers. I grew up learning to bless people when they sneeze. Tom and I were out (alone!) last night. I attempted to adopt your non-blessing lifestyle, but even when I didn't say it, I thought it. And gave the sneezer a look that told them everything I couldn't say (possibly starting with, "Bossy Betty says..."). Great post Betty, great laugh. I'm used to hearing the "bless you" and will usually give it when I hear a sneeze nearby. Must be differences in regions. I can just imagine the blessings that woman was bestowing on your husband from her wet window in her car! Ha. First off, I have to agree. And also? You left me laughing! Hey, Betty, don't take it personally when a person blesses you for sneezing. It's cultural. They can't help it. Have a heart, they are probably quite embarrassed. Ignore, ignore, ignore! JP would be in total agreement with you, but I, as a multiple sneezer every morning [worse in summer of course but winter still brings on allergies]must admit that I would much prefer at least one 'bless you' rather than the irritated 'do shut up' that I usually get.